The year is 50 B.C., and Roman troops have conquered a path through Gaul to reach the English Channel. However, a tiny fortified village in Gaul continues to resist the Roman occupation with the help of a magic potion which turns the odd-ball burghers into unbeatable warriors. 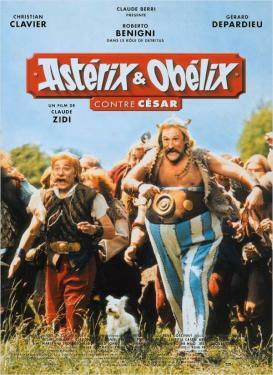 When the Romans capture the head Druid, hopeing to discover the secret of the magic potion, Asterix and Obelix must go to his rescue.